When one door closes, another opens – It’s time for a brand new website! I’m not saying the photographs I took in the past were somehow lesser in any way – quite the contrary! They are moments of time, beautiful moments/joyous moments/emotional moments. But time marches on, and I’ve got a LOT to share with you! So now I’m ready to SHARE SHARE SHARE! You’ll notice a LOT of new blog posts over the next few weeks – this is to catch up with all the blogging I didn’t do over the fall! I figured, why put them on an old site, if the new one will be where all the new stuff will exist!? Also, there will be (soon) a FOR PHOTOGRAPHERS area on the website! Mentoring, teaching, a podcast aimed JUST for Professional Photographers. Stuff that will bore the average person to tears sometimes, but makes the hair tingle on the back of a pro-photographer’s neck! SO much new stuff to come – I almost don’t know how to express it! 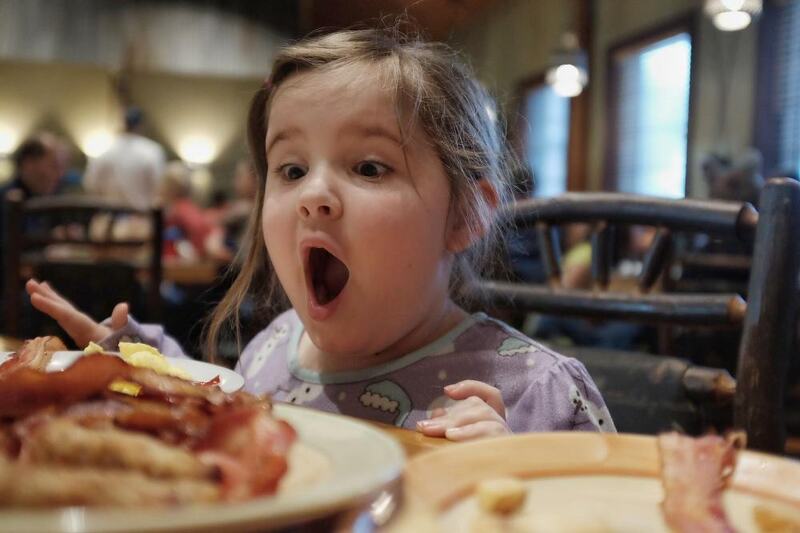 But somehow, this photo from a recent vacation of my daughter marveling at her breakfast will just have to do – Enjoy!